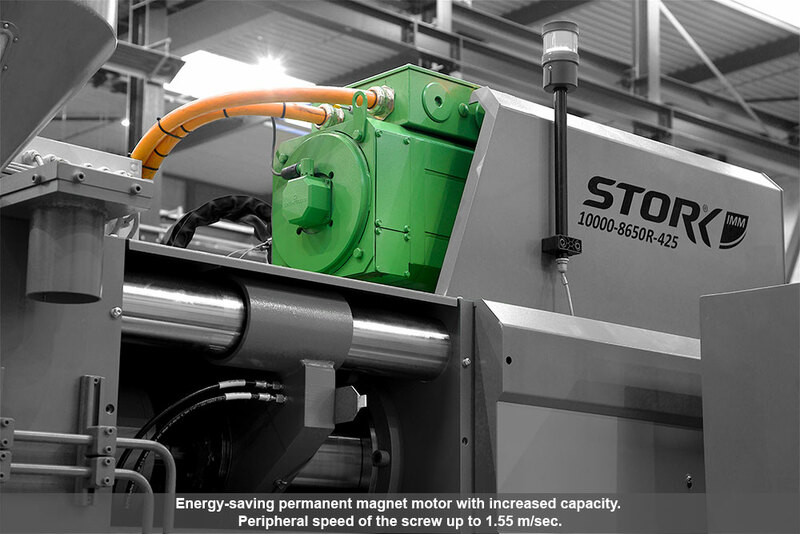 Available in 2018: a Stork machine that produces single or multiple pails with or without handles in the shortest possible time and with maximum attention for the environment. Depending on the configuration, an energy consumption of approximately 0.35 kWh / kg is achievable! 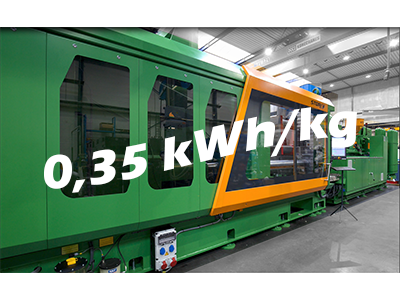 The intention was clear: deliver a 'green' machine with the lowest possible energy consumption, combined with the highest speed, accuracy and availability on the lowest possible floor space! To achieve this, various state-of-the-art techniques have been used, of which we mention a number below. The numbers correspond to the photos below the table. 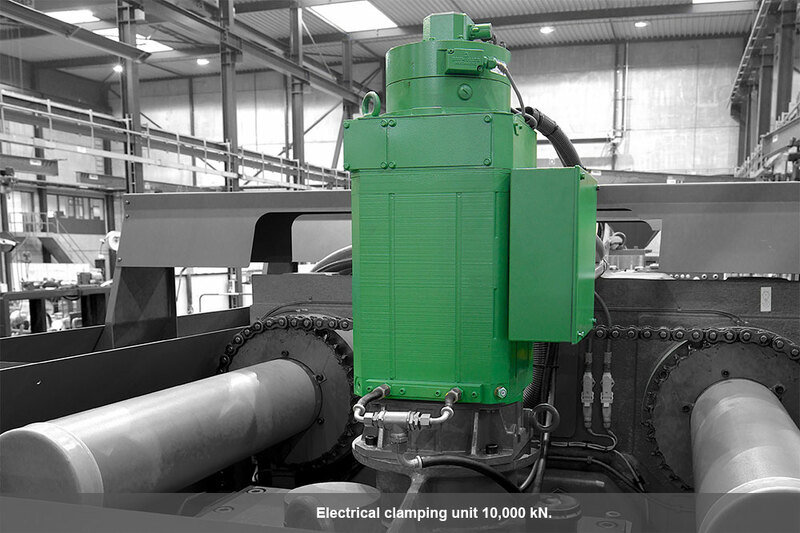 1 - Electrical clamping unit 10,000 kN. 2 - Energy-saving permanent magnet motor with increased capacity. Peripheral speed of the screw up to 1.55 m/sec. 3 - Three parallel servo valves for injection. 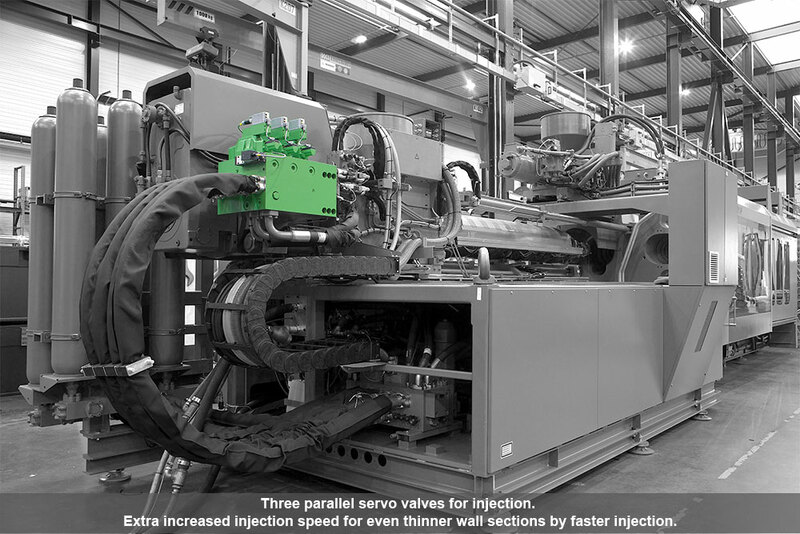 Extra increased injection speed for even thinner wall sections by faster injection. 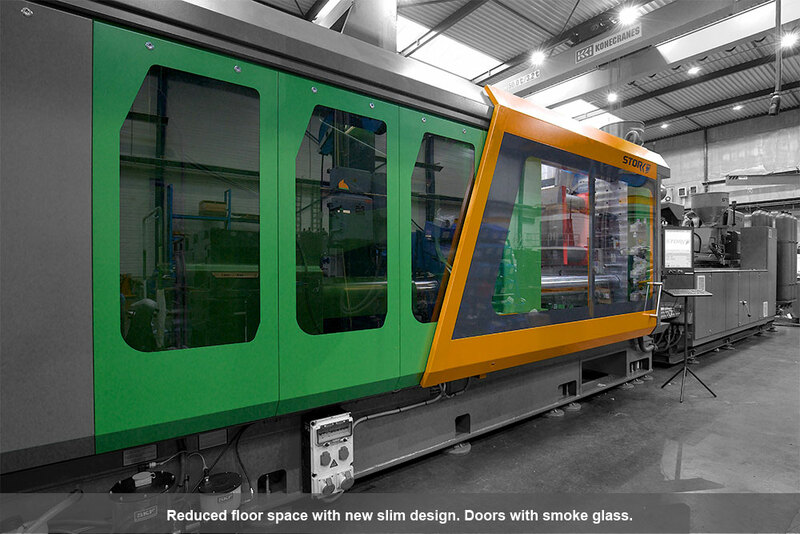 4 - Reduced floor space with new slim design. Doors with smoke glass. 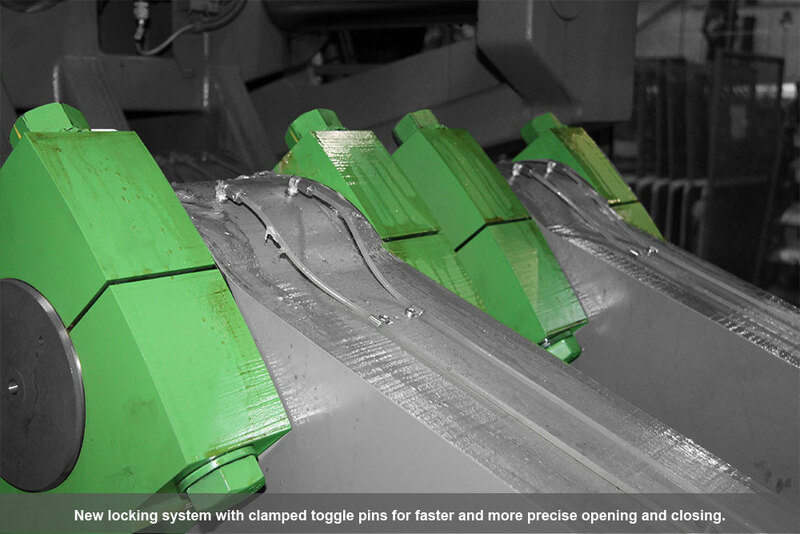 5 - New locking system with clamped toggle pins for faster and more precise opening and closing. 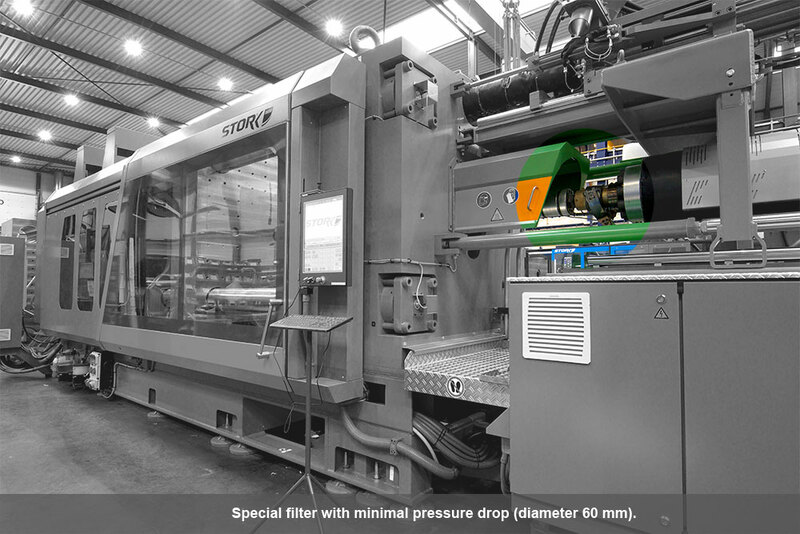 6 - Opening during the cooling time (special software), allowing better deformation and shorter cycle. 7 - Special filter with minimal pressure drop (diameter 60 mm). 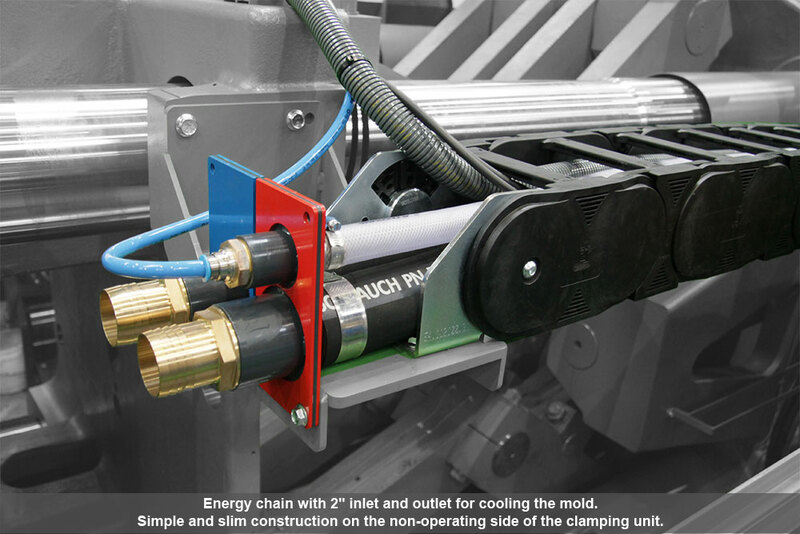 8 - Customized hydraulics with extra proportional valve on pump to save 2-4% extra energy. 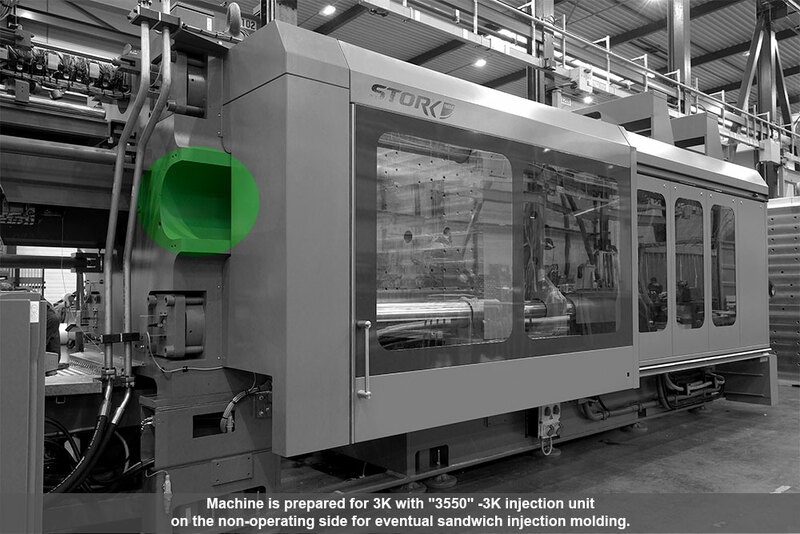 9 - Machine is prepared for 3K with "3550" -3K injection unit on the non-operating side for eventual sandwich injection molding. 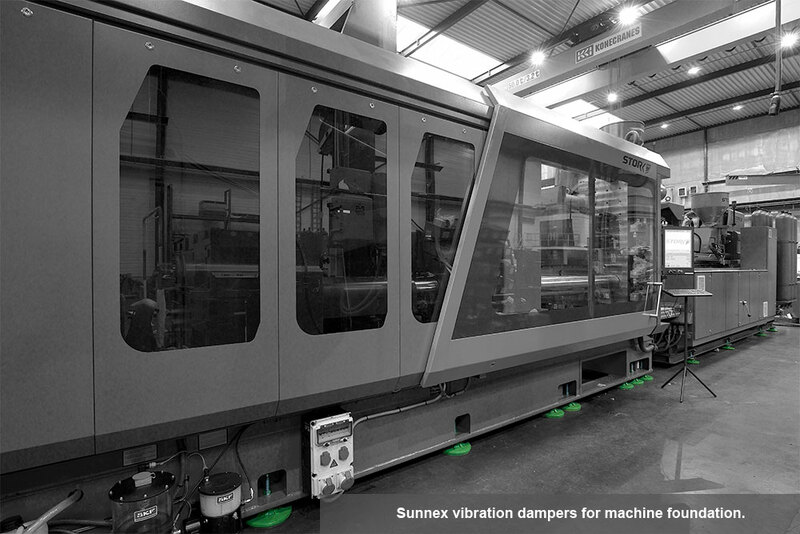 10 - Sunnex vibration dampers for machine foundation. 11 - Energy chain with 2" inlet and outlet for cooling the mold. Simple and slim construction on the non-operating side of the clamping unit. 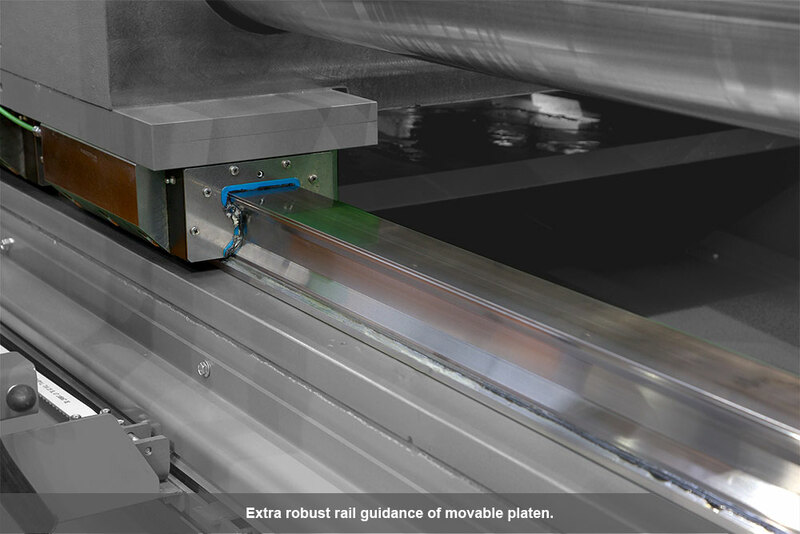 12 - Extra robust rail guidance of movable platen. 13 - Special software for monitoring the functionality of the heating bands and hot runners. 14 - Large 2K-425 injection unit for injecting heavy handles. 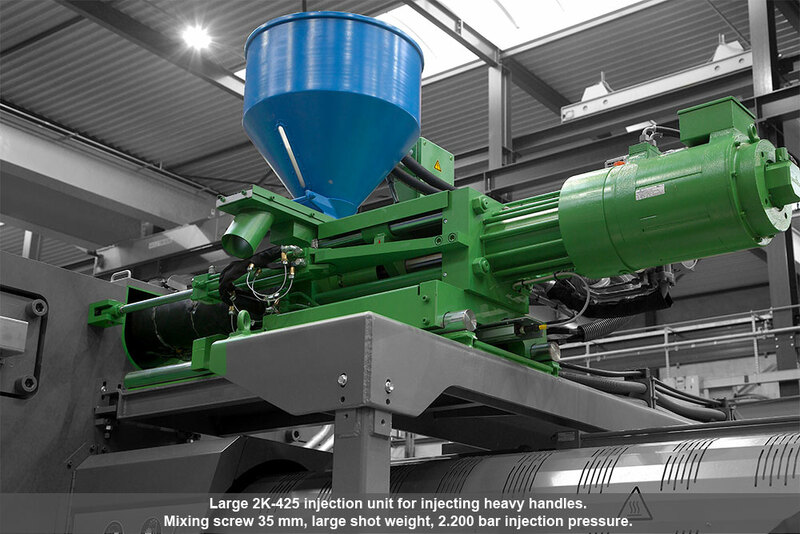 Mixing screw 35 mm, large shot weight, 2.200 bar injection pressure.